Last edited by Seige on Thu Apr 13, 2017 12:28 am, edited 1 time in total. Hello and welcome HugsAndKisses, glad you could join us! Hello, I'm Elaini, so far a very part time creator from Finland, but I refer quality over quantity. I have been in IMVU for about nine years. Elaini is my main, but I have two alt accounts - Galadriel and IceQueen. 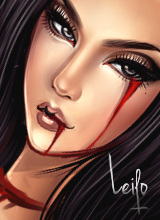 Somehow I've always come back to IMVU despite the hiatuses - if not in client, then at least in the original forums, which now sadly are being phased out. I hope you don't mind that I don't feel like copying everything here about me right now, since I just added as many links to my profile as possible. In there it is very easy to browse around my profiles in many social medias. But either way, my style is realism, I am a lover of fantasy and anything that's creative. I can mesh, animate and texture in IMVU. Besides creating I also make digital art and compose music, sometimes with lyrics. I'm glad to know that the good old pals are still here. I have some plans, questions and ideas considering creating and these boards, but I'll tell more about them soon. Thank you Siege & gaf210. Welcome Elaini! I've seen you around in the old forums. Well first, thanks again Keef for making this forum. I think it's great what you're trying to do here. Also thanks again to you to as well ChocolateCookie for sending me the invite. Well basically I been a member on IMVU since 2006. I have 2 dev well now creator accounts there. became one before they started calling us creators. custom item I made exclusively for a friend ripped as well. screen is way more convenient for me. Haven't touched my laptops since 2014.
that happening anytime soon. So not holding my breathe for that. welcome everyone NEW and helllooooo all of you lookie loos who peep in here! Hi to everyone I've added this week! Our happy community keeps growing! wooot! so awesome you have arrived here Leilo hun, you are one amazing creator and even more as a person mmmuahs! 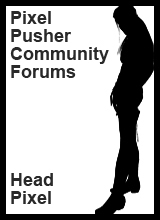 Glad to have found this forum. Even though I wasn't super active in the IMVU forums, I missed them. 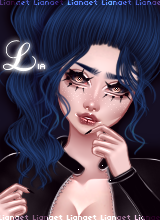 So I'm Lianaet, and I've had my account on IMVU since 2007, and I started messing around with creating late that year, but didn't really start doing it more seriously until like 2012 or so. As a dev, I mainly just make textures for clothing, skin and hair, and I wouldn't say I have a particular style either haha. 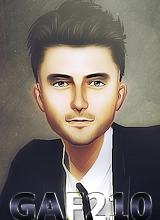 I also do a bit of avatar edits for DPs over at the gasr forum occasionally. Welcome lia and happy to see you around here! Welcome to the community everyone who just joined!